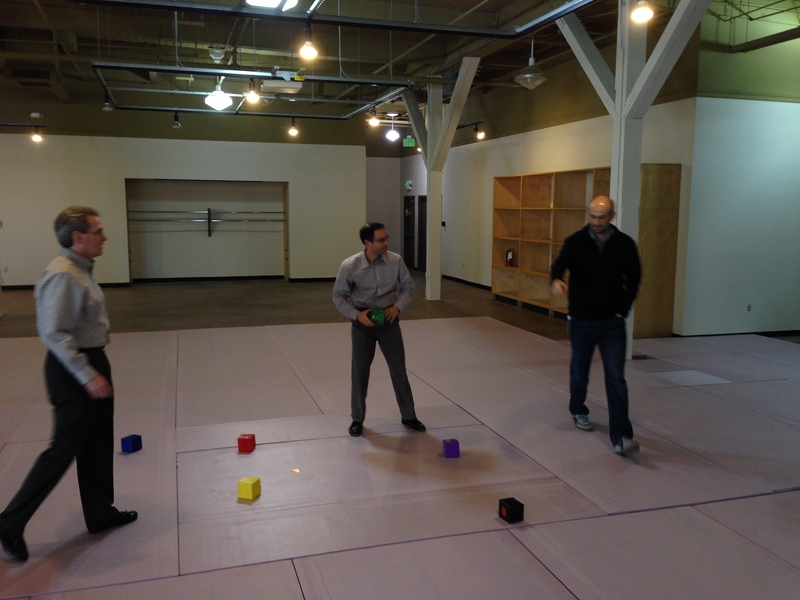 Executives at Impinj (from left to right, William Colleran, Evan Fein and Alberto Pesavento) show off how their xArray reader pinpoints the location of multi-colored blocks at the company’s new Design Lab in the old PCC in Fremont. Over the past 14 years, Impinj has weathered two economic recessions, not to mention a slow-to-develop market for its radio frequency identification products. 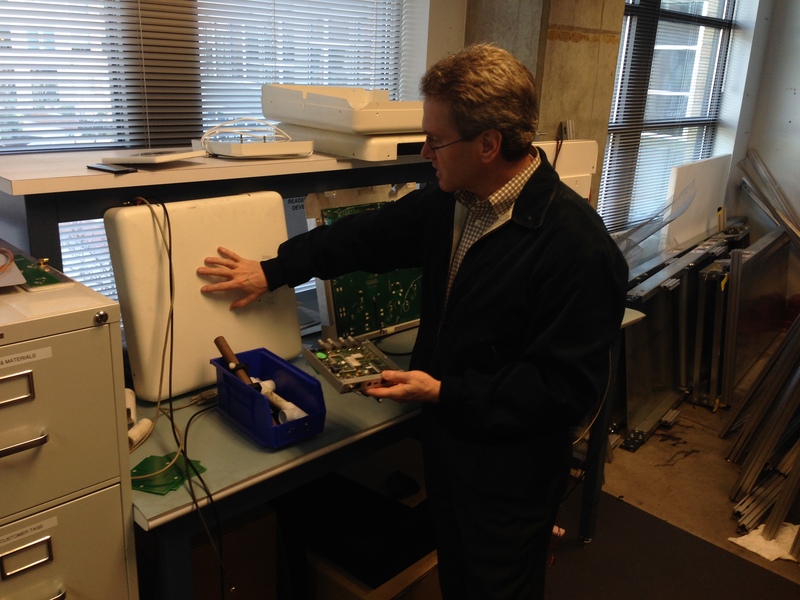 Impinj CEO William Colleran shows off a test unit of its xArray RFID reader. Under normal circumstances, that combination would have killed most companies. But Impinj, founded in May 2000 by leading scientists Dr. Carver Mead and Dr. Chris Diorio and backed with more than $110 million in venture funding, is not only still standing — but starting to thrive again. CEO William Colleran admits that the path to success has taken longer than anyone would have imagined. But Impinj, backed by Madrona Venture Group, Arch Venture Partners, UPS and others, is on an upward swing. Last year, the 140-person company achieved revenue growth of 30 percent, all while hitting other key financial milestones. The profitable company is done raising venture capital for now, and it is not quite ready to file for an initial public offering again as it did in 2011. However, if things continue to accelerate, executives say a public offering could be in the cards down the road. “(2013) was by far our best year, and there is no reason to think that won’t be repeated this year,” said Chief Financial Officer Evan Fein, adding that they are investing heavily in innovative new RFID products. Coming off that record year, Impinj is now expanding its footprint in Seattle’s Fremont neighborhood where it has long called home. But the space, located across the street from the company’s headquarters, is not your typical tech office layout. Impinj recently moved into 11,000 square feet in the former PCC grocery store for a new effort called Impinj Design Labs, a unique laboratory of sorts where the company can test an array of RFID readers and other cutting-edge technologies. 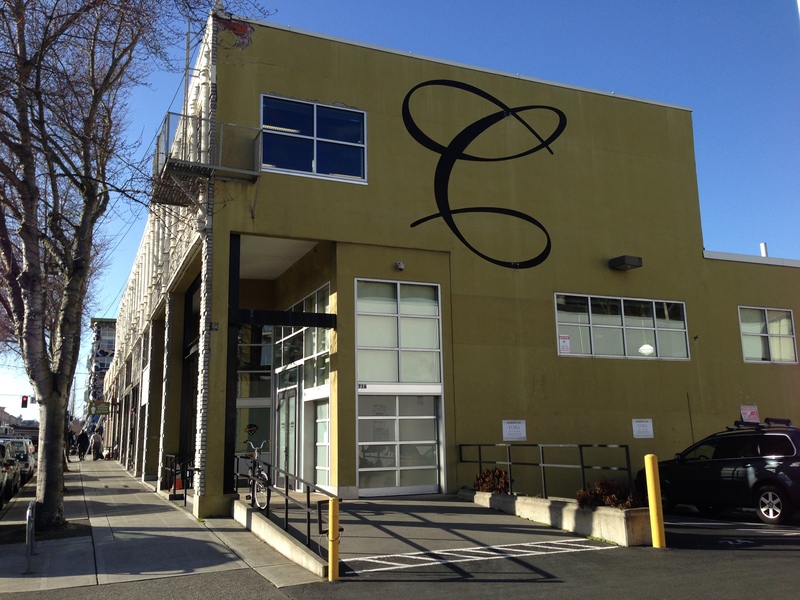 It marks the second creative real estate transaction for a tech company in Seattle’s burgeoning Fremont area following news earlier this month that Tableau was taking over the Sound Mind & Body gym, reformatting it to accommodate its growing workforce. 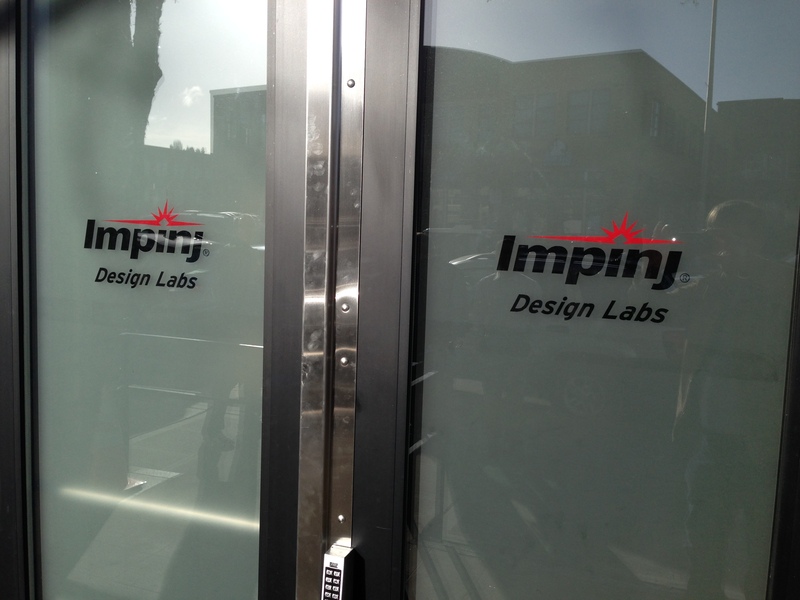 When I stopped by the Impinj Design Labs last week, researchers at the company were testing an installation of its experimental Speedway xArray Reader System. 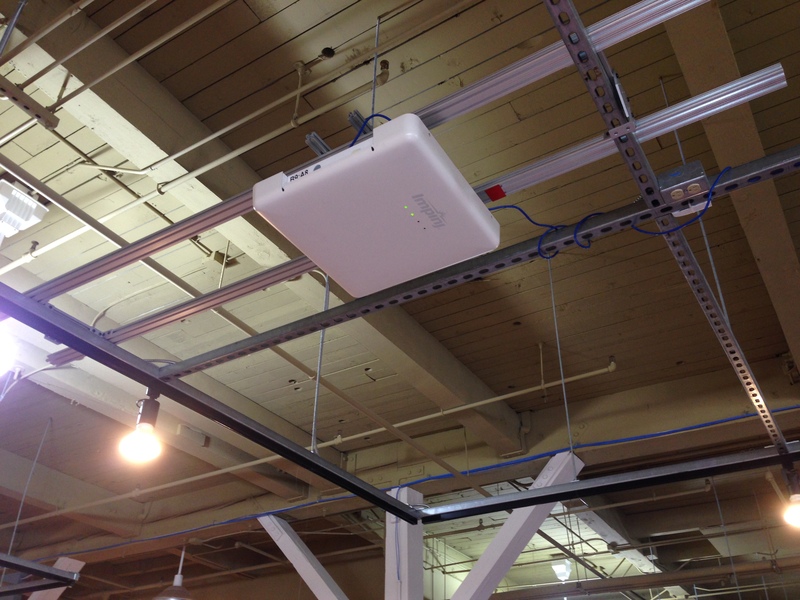 The xArray attaches to a ceiling and pinpoints where products are located that have RFID tags. A hardware unit about the size of a medium pizza box, the xArray reader is designed to affix to a ceiling in a retail or warehouse environment. It then uses 52 antenna beams to pick up location information of RFID tags across a 40-foot diameter, tracking the whereabouts of products. For example, a retailer like Nordstrom could use the system to visually track shoes, making sure sales representatives could easily find a matching boot or sandal that may have gone astray. The product, which is set to go on the market later this year, won Best in Show at the RFID Journal awards last year. Impinj believes the xArray could transform inventory tracking as we know it. Today, RFID tags are typically scanned by someone who walks through a store carrying a hand-held reader, a time consuming and inefficient process. With xArray, Fein said the model gets flipped on its head, automatically tracking items from above 24-hours per day, seven days per week. It also gives retailers new data, like location of items, so they can pull even more information out of the goods on the retail floor. In many ways, the xArray represents Impinj’s future. If it can help companies more easily track location information of inventory, those insights can be used to boost sales and profits. 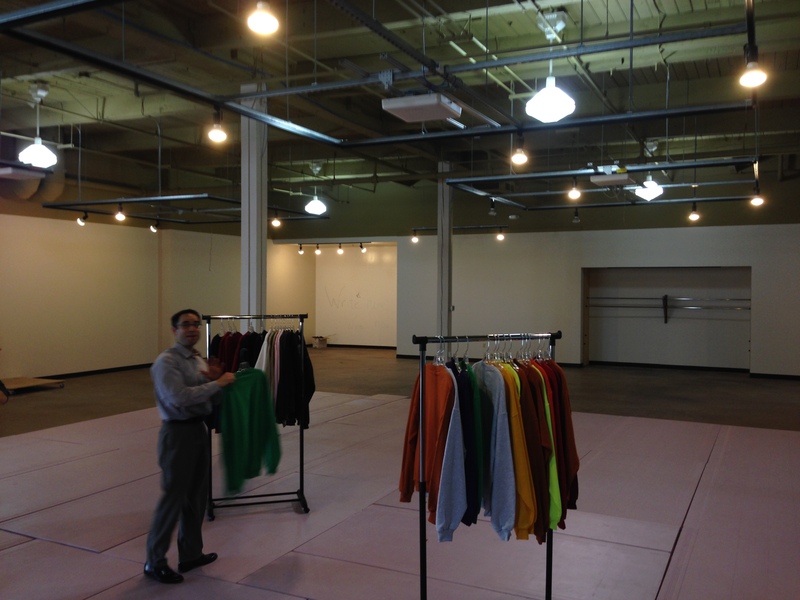 Evan Fein showing off RFID-tagged garments. “When you know your store floor inventory, you get an increase in sales because you don’t have out-of-stocks or items that are missing, so you know what people want and you can put it out there,” said Fein, adding that the smart inventory management can lift sales five to ten percent. That’s part of why Impinj is at an interesting crossroads right now, sitting at the nexus of some important technology trends such as the rise of sensors, location analytics and big data. That a represents a complex Web of hardware, software and data — one of the reasons why it has taken so long for the company to gain traction. RFID systems are inherently complex, since they involve nearly every piece of a company’s business, from manufacturing (RFID tags must be affixed to products) to integration with complex point-of-sale systems. Those layers of complexity have slowed adoption, but Fein believes the tide has now turned in part because retailers discovered a “killer app” in terms of how they use RFID to track items in a store. That’s part of the reason why the new Impinj location is so important. An old grocery store makes for a perfect place to test implementations of the technology, including high ceilings, stocking areas, a point-of-sale counter and more. Colleran said that they can mock-up various retail scenarios, testing whether the xArray can perform in each of those. A big open floor plan was needed. In fact, the new location even includes a warehouse that Impinj plans to use to store its own hardware products, tagging each with a RFID tag and then allowing the xArray to track the movement of the products. “We can eat our own dog food,” Colleran says with a laugh. That old adage certainly seems to apply to Impinj, whose RFID tags are now used to track products at retailers such as Wal-Mart, Macy’s, Zara and Marks & Spencer. This entry was posted in News and Views on April 7, 2014 by Swiftsure Group. Just How Small Is a Smaller RFID Chip? Behold the tiny fruit fly egg. You know about the Cloud. How about the Fog?